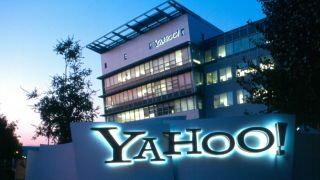 Yahoo has confirmed that it will be adding encryption capabilities to its email service by 2015, following the example set by Google a few months ago. Altogether, more than 600 million users are expected to be protected by enterprise-grade, end-to-end, encryption capabilities. The plan was announced at the Black Hat security conference by the company's Chief Information Officer, Alex Stamos, a post that didn't existed a year ago at Yahoo. Encryption will not be enabled by default though and users will have to turn it on themselves in order to be fully protected. Both Google and Yahoo will be using a variant of PGP, where encryption keys are stored on the devices themselves rather than centrally kept by a third party. PGP however won't solve the privacy conundrum across the email journey. It cannot, for example, encrypt the subject line or the identity of the recipient. In addition, unless you proceed use an incognito or private window, there's always a chance of being able to piece together enough information to access the user's account.